Waxing! The process itself is scary, time-consuming and sometimes painful. Back waxing is nothing less than a nightmare for all of us. Making an appointment, being ready mentally and physically for getting your hair removed from the roots sounds horrifying. Fear not, here are some ways to prepare before your schedule that back wax appointment! Scrub your back as much as you can before you go for a back wax. It’ll be easier for the wax to grab onto the hair and remove it right from the roots. Also, hygiene is necessary. Back waxing while having to see dead skin and other grime is not appealing to anyone, so exfoliate thoroughly. Use a scrubber or loofah to get the maximum effect. Not forever! Only a day or two prior to your back wax appointment. 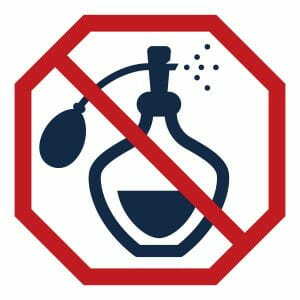 Chemicals and other additives from perfumes and oils can block your skin and pores. This makes it harder for the wax to stick to your skin or hair which is useless to your waxing appointment. Although we aren’t experts, we suggest if your pain levels are quite low pop a mild painkiller before your appointment to ease the process. Not all can handle waxing and pain, and there’s no shame in admitting it. In fact, most women have sensitive skin, and if not taken care of correctly can be damaged easily. Have a word with your physician to prevent any reactions with other ongoing treatments. Leave a considerable amount of gap between your waxing schedules. This will give your hair enough time to grow to the appropriate size for waxing. A gap of 3-5 weeks should be sufficient time for all your hair follicles to grow back. Post your wax, you can flaunt your backless dresses.